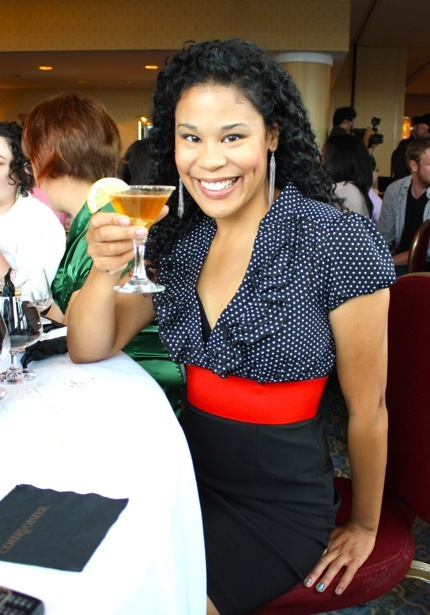 Cognac, you guys. A regionally-named brandy distilled from white wine, traditionally served in bubble glasses. I used to think brandies were basically medicines for dog-loving skiiers, lovingly fetched in tiny neck barrels post-avalanche, but last week after attending a Courvoisier Exclusif tasting event, I learned the error of my ways. 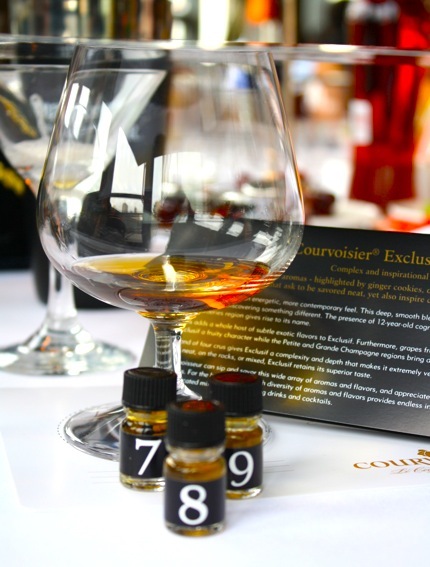 My new take-home: Courvoisier is tasty, and tasting events are super-fun. 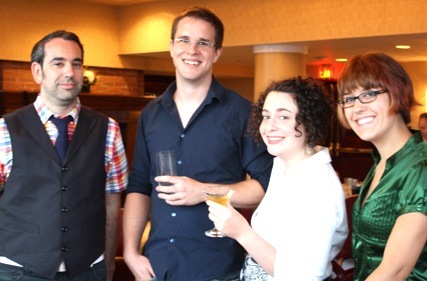 A group of Toronto bloggers convened at the Hyatt, arrayed in our finest brandy-tasting outfits. Mine included moderately-sensible shoes and an ankle brace due to a dodgeball injury. Upon arrival there were tiny lollipop lambchops and a charming bartender making tangy Courvoisier sidecar cocktails. I considered it my journalistic duty to sample both of these offerings. Rating: yes. As we took our seats, the entertainment began. A dude dressed like Napoleon careened around on stilts with several lovely empire-waisted maidens house-dancing around him. There was a ceiling bulkhead and a large chandelier, so this was even more exciting with the added element of danger (pronounced donJAY, of course; cognac’s French). Then time for a nosing. I’d never nosed before. 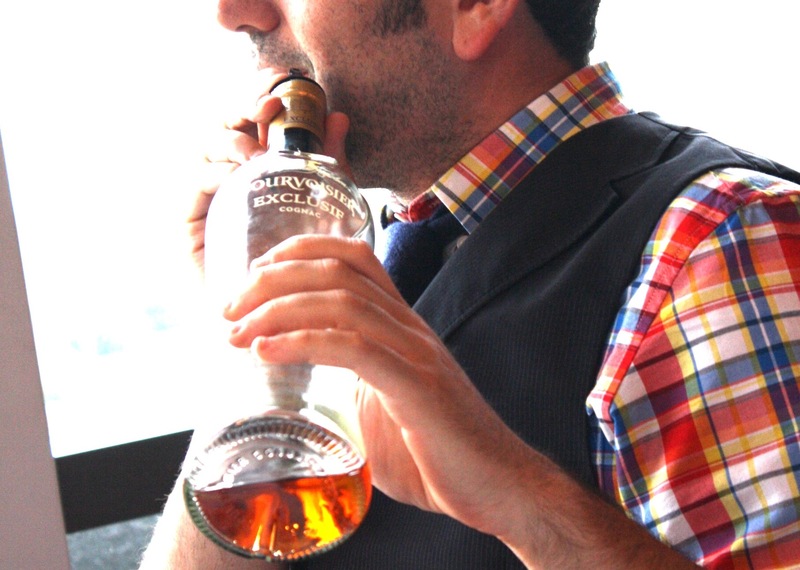 Nosing involves opening little bottles of essential fragrance, dabbing them on perfume strips, guessing their identities by smell, then identifying those same aromatic notes in sips of cognac. Ginger cookie, dried plums, and coffee were the key notes in one variety; crème brûlée, candied orange peel and iris flower in another. If you think I concluded this portion of the evening by dabbing crème brûlée essential oil all over my body and demanding that others “SNIFF ME I’M FRENCH!”, then you would be incorrect, and what do you take me for. If you think I didn’t imagine doing such a thing, though, it’s like you don’t know me at all and why do you even read this site. Okay. 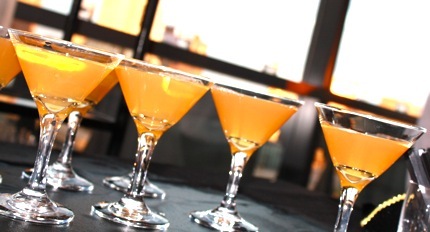 By this point I’d nosed and tasted Courvoisier, both neat and in a sidecar. I was pertty certin I cd make a decilious cognoc dirnk too. 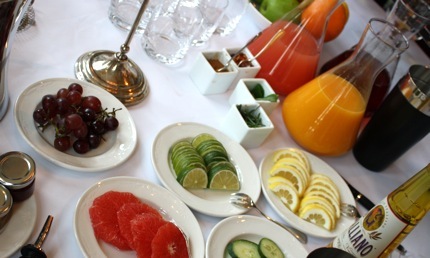 Luckily the fine folks at the Park Hyatt had planned for just such an eventuality, and had arrayed the table with a spread of interesting cocktail ingredients. I muddled apricot preserves, chopped ginger, and lemon, then added Courvoisier Exclusif, vanilla Galiano, and soda, all served in a sugar-rimmed glass. It made for a strong, sweet, tea-coloured cocktail that I thought would taste particularly good with breathing. Others at my table combined ingredients like fresh blueberries, mint, maple syrup, and even chili flakes. It sort of felt like a really sophisticated version of the cookie bake-offs on Just Like Mom (I always told my mother that if we ever ended up on that show I was just going to make perfect cookies, so she could expect mine to be the delicious ones, the very valedictorians of biscuitry, and then off we’d go to DisneyLand). 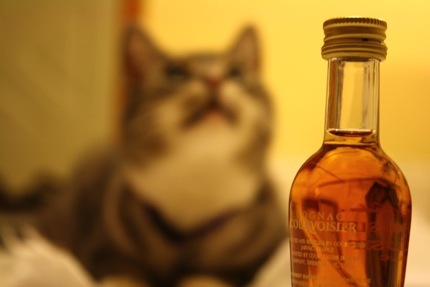 Soon, for some reason, there wasn’t much Courvoisier left in the bottle, and so the evening came to a giddy close. 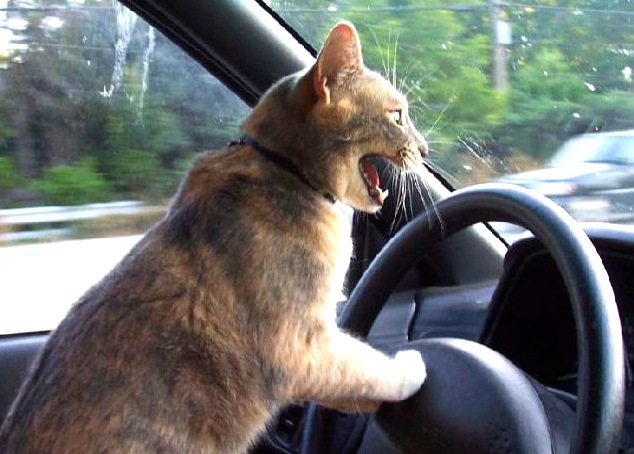 I was pleased to note that the reputation of my blog has apparently spread far and wide, as I was hailed on my way out by a couple of internet cat ladies who proudly whipped out their smartphones and waved photos of their cat-babies in my face. I would prefer to be known as a witty and debonaire gad-about-town, a sort of enormously-coiffed and slightly less femme Oscar Wilde, if you will, but frankly I’ll take my notoriety where I can get it, and I suppose being embraced as Queen of the Internerd Cat Ladies by some charming and Courvoisier-filled bloggers will also suffice. 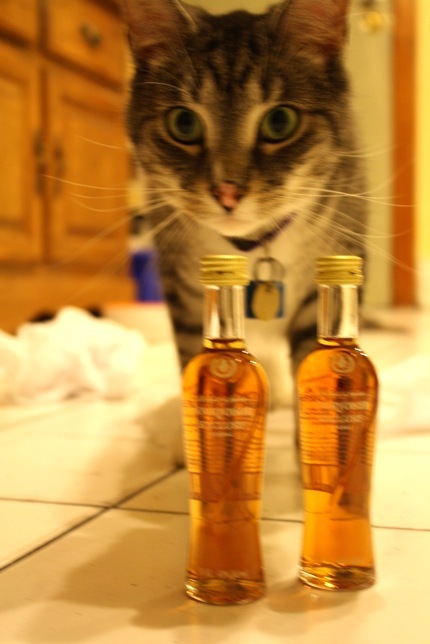 That said, it wouldn’t be my blog if I didn’t conclude by having a cat weigh in on all this. Helder’s cat Faustino was moderately interested in the Courvoisier I’d brought home, and extremely interested in sitting on the tissue paper that came inside my gift bag, so I think that counts as a pretty strong YES all around. 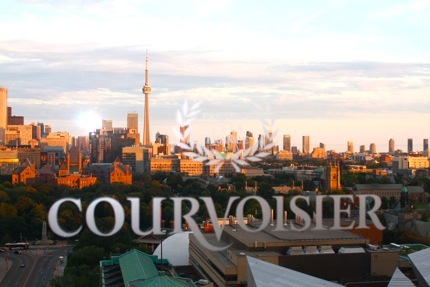 Thanks to Matchstick and Courvoisier for a lovely evening! NEXT TIME YOU SEE ME, SMELL ME! Hey, if you fill out this very short survey, the promotions company who created the event will donate $2 to Redwood Women’s Shelter. It only takes 30 seconds, and it helps women! Women, you guys! 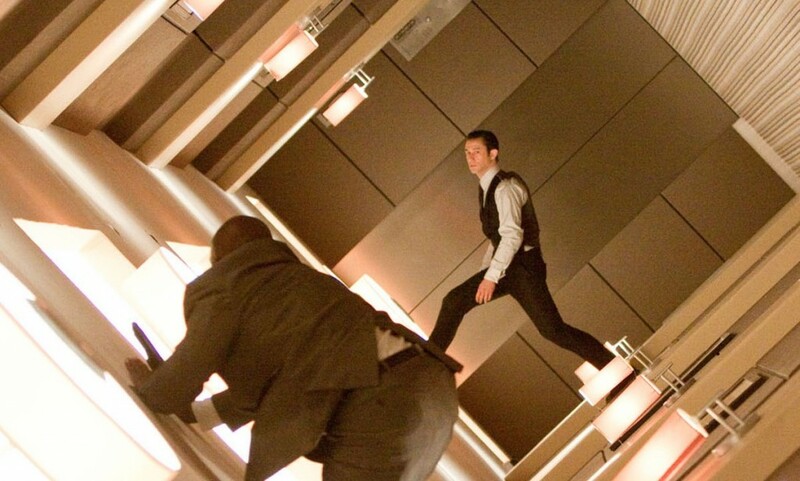 Saw Inception this weekend and really liked it. 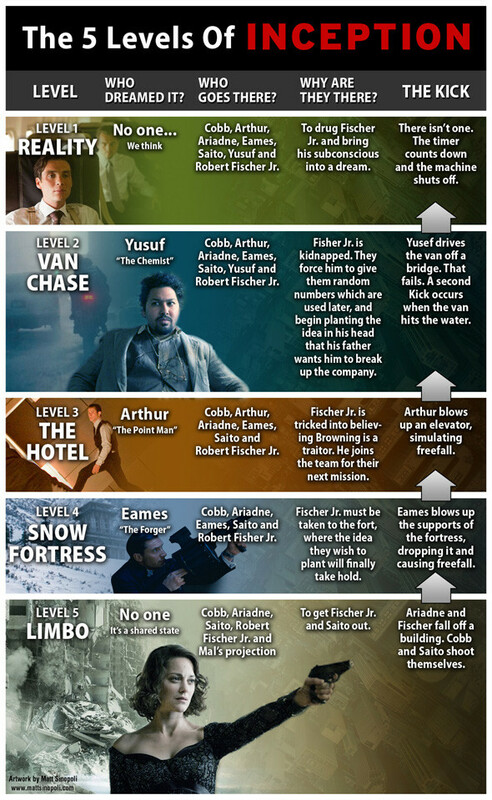 If you want to read a little more about some different interpretations of the film, you might want to check out these links: a solid article on Chud, one at Salon, an interview with actor Dileep Rao (who played the Chemist), and, at a glance, this handy chart showing who dreamed what. Finally, here’s one of Nolan’s admitted visual references: this luscious scene of Fred Astaire dancing up the walls from the 1951 film Royal Wedding, shot by spinning the room and the camera simultaneously. You can skip ahead in this clip to about the 2-minute mark if you like. Links via Mefi and AskMe. After you see the movie, check out this short article and YouTube video. That seems pretty definitive to me. Thanks to Donaldson for the tip! 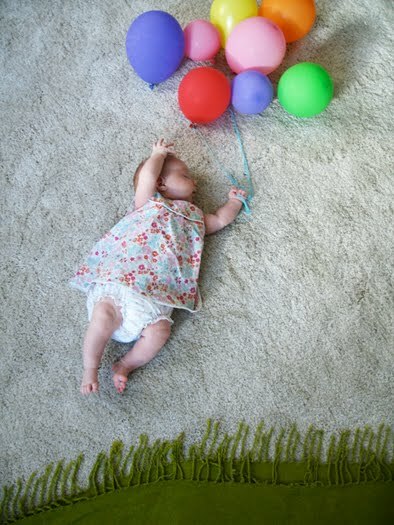 Every day when her baby naps, this mom styles her up into a dreamscape and photographs it. Pretty adorable. So far she hasn’t done any where she surrounds the baby with empty beer bottles and poker chips, but the blog is still pretty new. 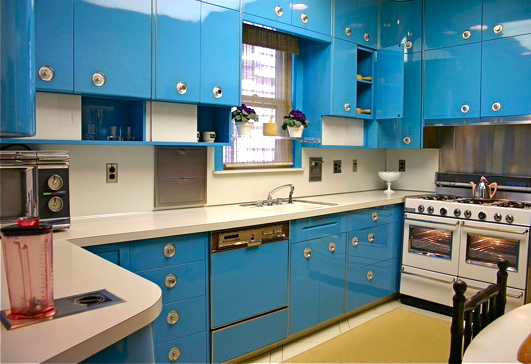 Apartment Therapy has a cool house tour of jazz legend Louis Armstrong’s 1960s kitchen in Queens, NY. 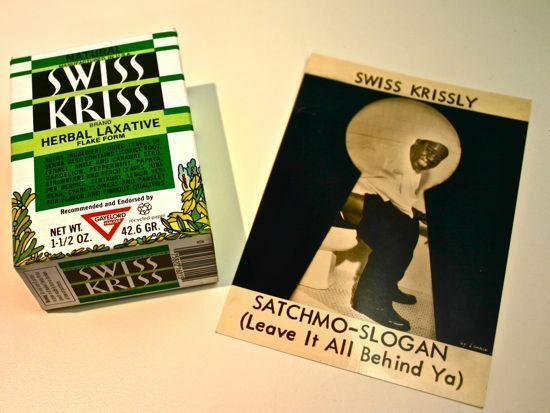 Highlights include kitchen cabinets mounted on piano hinges, a blender built right into the counter, and Armstrong’s favourite product: a herbal laxative he endorsed using the slogan “leave it all behind you”. Thanks to Whitney for Facebooking this. Here is an adorable video of a porcupine acting like a puppy. Now I would like one small pine pet please. 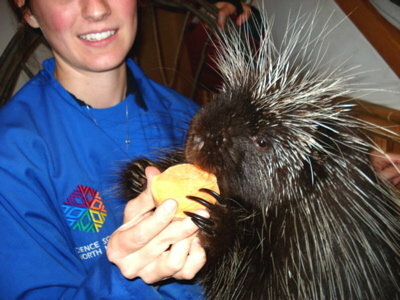 Here is a porcupine I met at Science North in Sudbury when I was there on a shoot a while back. His name is Quillan. All he wants to do is nap and eat sweet potatoes. You can pet him if you want. Only in one direction, though. I learned that porcupines have three kinds of fur: very long thin yellow hairs that feel like cat whiskers, a thick coat of crinkly, oily, dark brown fur, and stiff, hollow, yellow and black quills buried in the fur. If you pet them, they leave a kind of shiny dark dirt on your fingers, kind of like petting a farm dog. 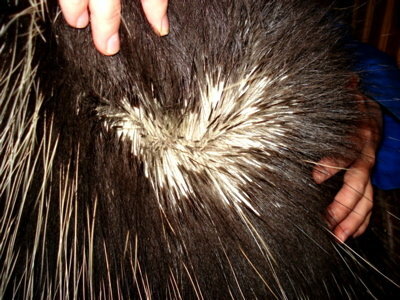 The grease in porcupine fur smells like a mixture of cats and motor oil. And that is what I know about porcupines. Get a giant blue tarp. Skateboard over it while someone pulls it over you. Oh my goodness this is delightful. Skip to 0:30 if you don’t wanna listen to silhouette guy yapping. And then he yaps again, so skip to 5:00 to see outtakes. 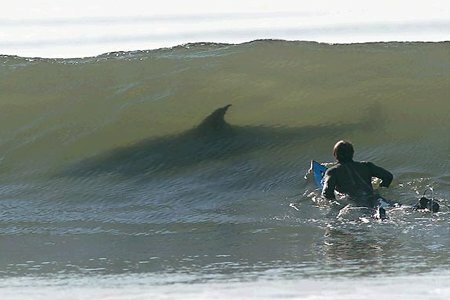 I wanna do this and put a cardboard silhouette of a shark behind the tarp. 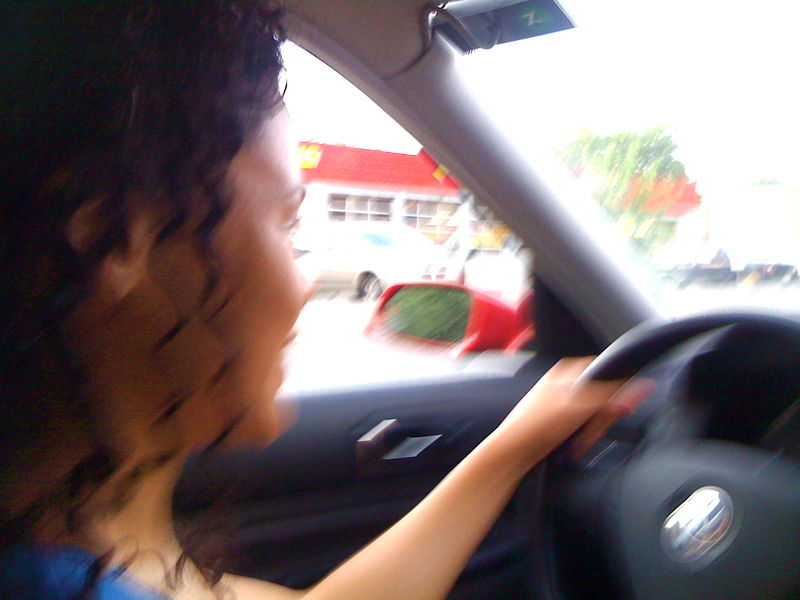 You are currently browsing the pageslap blog archives for July, 2010.